With rapidly changing technology, everything is available in a click of the mouse. 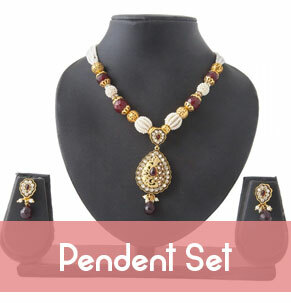 Not only just clothes, electronics, home products, books, but also jewellery is available online. The trend of buying fashion jewellery online is currently on rise. Online shopping has become a source of getting high quality jewellery. There are people who fear the credibility of the online retailer. Those can be ensured by the brand image, after sales services, observing the reviews of the customer or also by directly talking to them to check the validity. With a little research you can find reliable online jewellery portal where you can shop your favourite jewellery like necklaces, bangles, bracelets, pendants, rings, earrings, and also wedding jewellery. Peek through our wide collection of exclusive and striking Indian fashion online jewellery which is made by trusted brands like Voylla, Gitanjali, Sukkhi, Jewelberry and many more. These brands are known for their quality products. We have ample range of accessories such as necklace sets, earrings, bracelets, anklets, nose rings (nath), armlets, pendant sets, bangles, rings and much more in vibrant colours and intricate designs with a modern touch and conventional look. 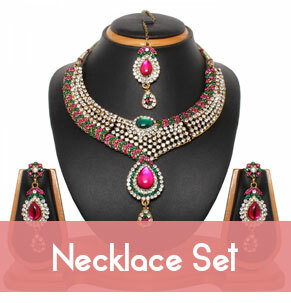 You will find new, traditional and contemporary, South Indian artificial jewellery designs online to complement your wardrobe & enhance your personal appearance and appeal with fashion jewellery online! Our Indian bridal jewellery collection includes everything from maang tikka, mangalsutra, haathphool, churras, to the alluring toe rings in stunning designs. 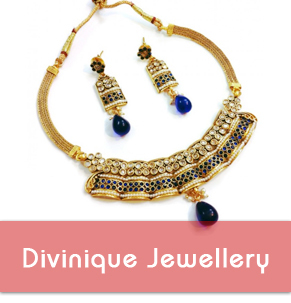 There are immense options to choose when it comes to traditional and new-fangled designs in South Indian jewellery. 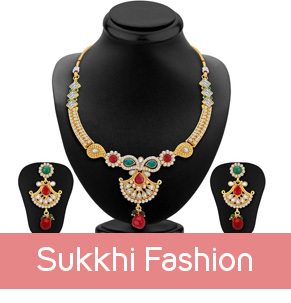 Augment your look and compliment your wardrobe with our wide range of online jewellery. High5store’s range of traditional online jewellery includes kundan, terracotta, pearl, polki, thewa and many more jewelleries that bring out the authenticity of Indian culture with a modern twist. Bollywood has always been influential when it comes to jewellery. Our range of ram leela jewellery collection has variety of styles and designs inspired from the movie Ram Leela which has the ethnic touch. Artificial jewellery has become the latest trend now in India. The craze for jewellery can never die among women. 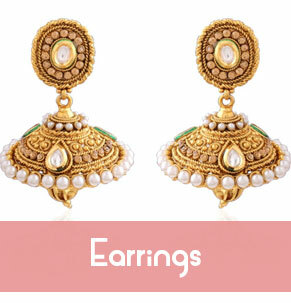 Women are going in for traditional jewellery with a blend of contemporary designs to give a classy look. Indian jewellery has gone through lot of changes in these years. There is subsequent rise in demand for fashion jewellery as it is considerably cheaper and is made with exotic dyes and materials. Different high quality metals, beautiful stones, beads and other materials are used to create impeccable imitation jewellery designs. For every outfit, there is matching jewellery available. Imitation or Artificial jewellery gives a classic at the same time chic appearance. 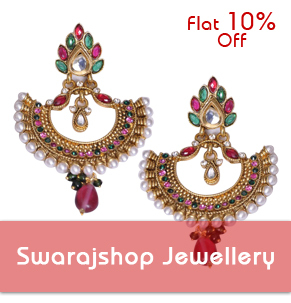 This has given significant rise in online jewellery shopping. 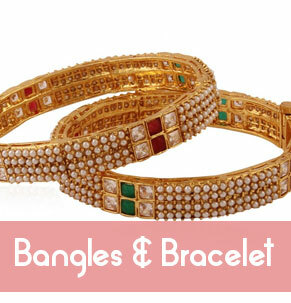 Shopping jewellery online is much easier and it features trending designs and patterns. You can avail great deals and discounts at High5store for buying online jewellery. High5store has it all when it comes to traditional jewellery. With our wide variety in colours and designs, you have ample of options to choose from and complete your look with the perfect jewellery that goes with your personality.